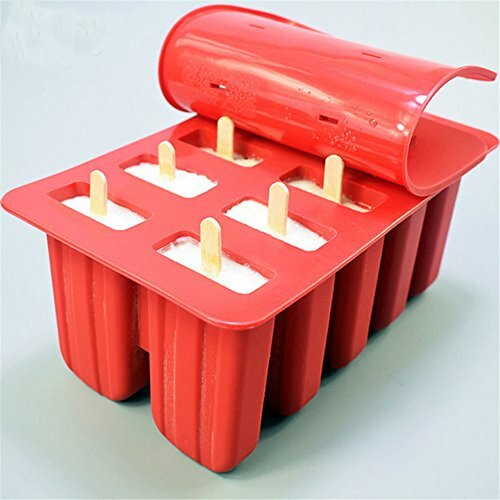 Please don't contact this product with high temperature and sharp objects. 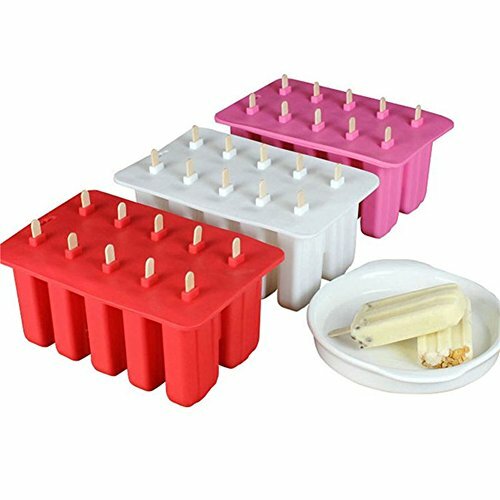 Material--Made of advanced food grade silicone material, this ice cream maker mould is safe and non-toxic, soft and comfortable to hold on, durable in use. 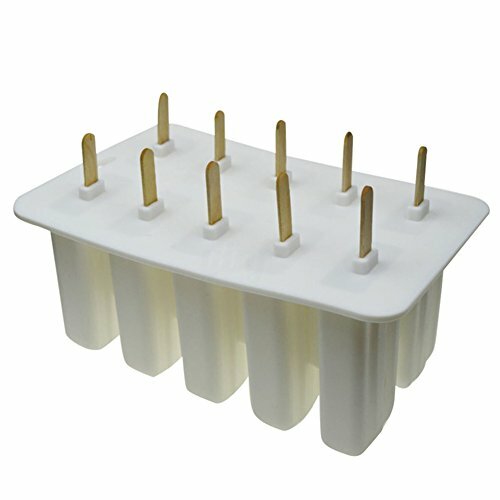 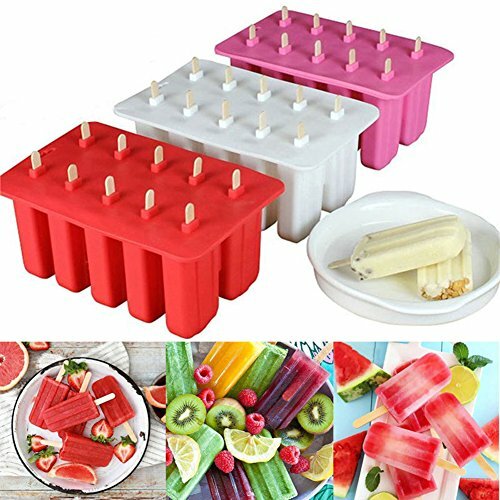 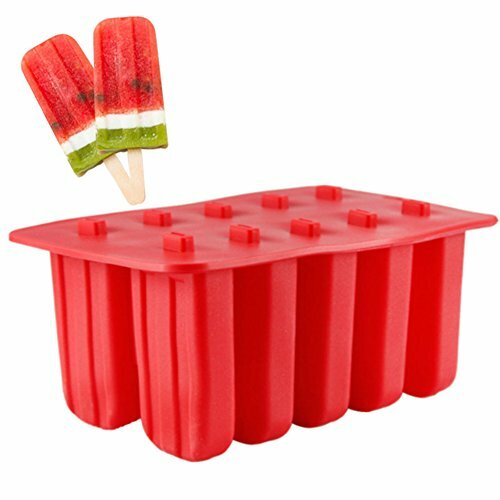 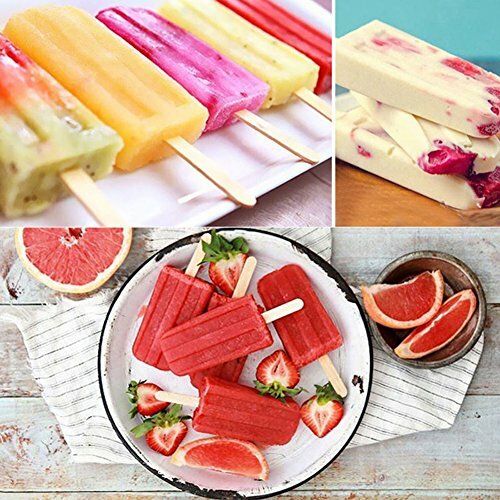 Large capacity--Up to 10 cells, single ice cream mould size: 5*2.2*10cm, you can make 10 large ice creams at the same time, enjoy the cool sweetness with all your friends! 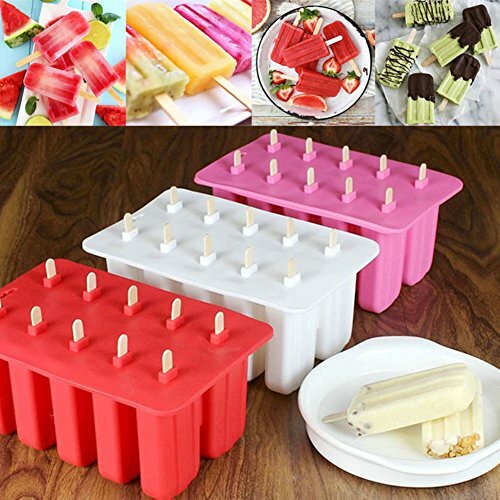 Convenient lid cove--Lids cover design is very thoughtful, cover the ice creams and prevent weird smell from getting in during the making time. 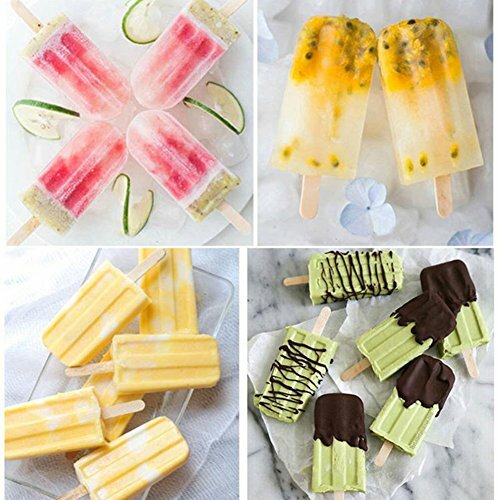 Noted--Please kindly know that the sticks on the image are not included, customers please buy the sticks yourselves.